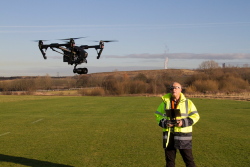 This month, Heliguy Insider had the opportunity to speak to Adrian Appleyard, UAV Operations Manager at Leeds Beckett University where he teaches BA and MA students aerial cinematography, a commercial drone pilot and Co-Director of Sky Captain Aerial Imaging, as well as a valued Heliguy customer. Adrian has been building and flying UAVs for over 40 years but became interested in drones in early 2015 and gained his permissions to operate as a commercial drone pilot. He currently is Chairman of one of the largest model flying clubs in the UK associated with the BMFA, and a former BMFA Chief Examiner for Helicopters and holds BMFA B certs for fixed and rotary wing aircraft allowing him to fly at public displays. Adrian’s also enjoys FPV racing but admits he is no expert in this revolutionary new sport. It’s fair to say, Adrian has a wide range of experience, from photography and design to health and safety, to engineering. He was even a Roboteer on the hit BBC show, Robot Wars. Keep reading for more about Adrian’s work and how he’s using drones. I support Central Marketing with all aerial work for publicity purpose and undertake building inspections for Estates Services. I also deliver training to both undergraduate and masters students studying Film and Television specifically in the field of Cinematography. 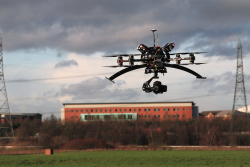 For this, a duel system is used allowing students to operate the camera gimbal system whilst fly the drone. I assist students across the region with shoots, using drones to create the best video images. Additionally, I train undergraduate Building Surveying students whilst they undertake their practical surveys of buildings. For example, students survey a building using traditional methods, such as a cherry picker, then compare the results against using a drone. I have also been researching into LiDAR and Photogrammetry and how this fits into BIM (Building Information Modelling) as well as working with 3D Laser Mapping company. Our drone is also fitted with an Optris pi 450 thermal camera used to support Leeds Sustainability Institute who carry out thermal inspections on buildings as part of their research work. 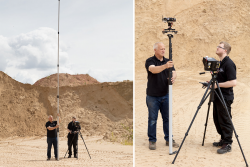 I have also recently reverse engineered a bespoke gimbal so it can be operated from a 10m inspection pole providing greater use of the camera. What equipment do you use for teaching students and why? I use a Sky Jib X4 Ti-QR with a Canon 5D or GH4 camera, and an Inspire 1 Pro V2 Black with x5 camera fitted with 12mm, 15mm, 35mm and zoom lenses. Both drones operate as a two-person crew. Why do you think it’s beneficial for students to learn how to use drones? The advantages drones bring to the construction industry are tremendous. They’re less costly, safer as people aren’t being put at risk by working at a height and tasks can be carried out faster. With film and television, I am demonstrating to future producers, directors and other film crew members how drones can easily obtain best images easily, and that are far better than traditional methods of filming. Drones inspire creativity in the film industry. How do you think the use of drones will change Higher Education in the future? Drones will widen students’ horizons and be a valuable tool in their arsenal when they graduate into professionals. At this stage of their education regulatory controls from our CAA are explained and understood creating responsible safe future drone operators. Tell us a little about your work through Sky Captain? Sky Captain was developed on the back of my role as a University UAV Operations Manager as I could see a good business opportunity. Sky Captain has allowed me to enhance students’ experiences using both University and our own drones. What equipment do you use for Sky Captain and why? We use an Inspire 1 ProV2 x5 camera as it’s a lightweight drone with interchangeable world leading Olympus lenses. The Inspire allows us to fly with fewer restrictions due to the weight factor. Its flight control system gives us confidence due to its continued reliability. We also use an Aeronavics Sky Jib X4 Ti-QR that carries almost every type of heavyweight camera. It’s robust due to its counter rotating X configuration. Additionally, an A2 flight control system and Futaba 14sg Tx are used. A two-person crew operation is used for safety and to obtain the highest quality of images captured. How do you think the use of drones benefits you as a photographer and surveyor? Using drones is simply brilliant and is a no brainer in both applications. Bonus question – tell us about your experience on Robot Wars. Myself and 2 other colleagues entered Robot Wars and were roboteers for 3 years. This was amazing experience travelling across the UK and competing against other Roboteers. We were in the 100kg category and our bot was called Storm Force. Out of 9000 entries and 3000 fighting bots, we came in the top 100 and ended up on TV in London only to the beaten by Chaos 2. If you’re interested in finding out more about the qualification required to operate commercially or just want to talk to our team of drone experts, you can get in touch via phone on 0191 535 0188 or email at info@heliguy.com. 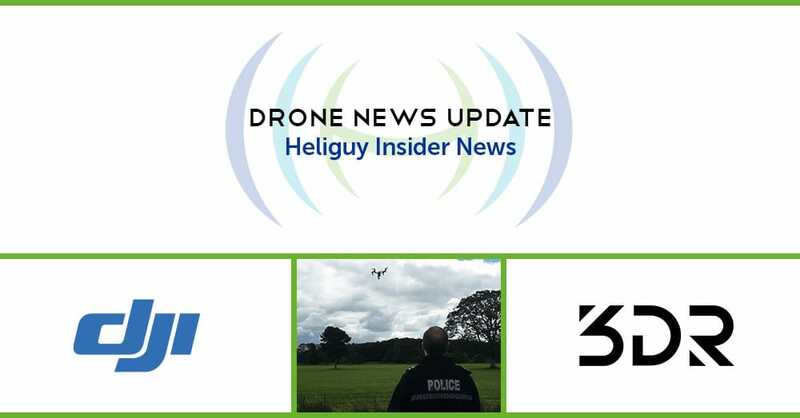 Keep checking back to Heliguy’s Insider Blog for more exclusive interviews, insights into the regulatory landscape and, of course, the latest news from the drone industry. A pre-flight checklist is important for all drone pilots to complete before beginning every flight. A checklist will help ensure you bring all of your equipment to your flight, fully charged and ready to go, as well as avoid issues that could lead to a drone crash that could have easily been prevented. 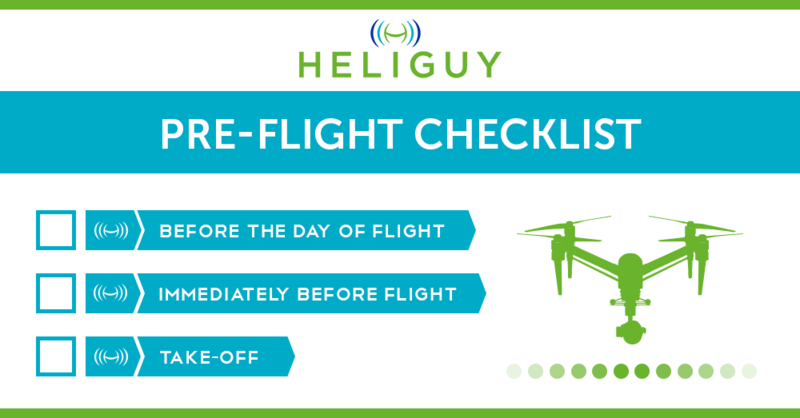 Heliguy have worked with their Training Team to develop a downloadable copy of the Heliguy Pre-Flight Checklist, to help you be prepared for each flight and keep you and your aircraft safe. Our Training Team have a wealth of knowledge from a mix of backgrounds that Heliguy use to help their customers. If you’re interested in flying your aircraft commercially, more information can be found here. or alternatively, you can reach us by phone at 0191 535 0069 or email at info@heliguy.com. Keep checking back to Heliguy’s Insider blog for more information about getting the most out of your drone, existing regulations and, of course, the latest news from the drone industry. The Freefly Pilot is the latest product released by Freefly, designed to reduce the barriers of filmmakers and offer even greater control of numerous cameras and the MōVI series. Freefly has dubbed the Pilot “like a mimic on steroids”. Keep reading to find out more on the groundbreaking feature Pilot has to offer. Pilot Focus Module – A highly sensitive, ergonomic, 75 mm knob with a high-resolution 16bit encoder. The knob gives real-time control over FIZ and MōVI axes. Also included is a rotary dial to vary stiffness and A & B buttons to offer further control. The marker ring can be customised and its colour changed. Pilot Iris/Zoom Module – This module can be mapped to control FIZ, as well as Pan, Tile and Roll. Controls include a precise 2-Axis force joystick with two joystick options available, linear slide potentiometer, in addition to an A & B buttons. The standard Walnut handle can be removed and other designs are available to be 3D printed. MIMIC – Freefly’s visionary technology allows the camera to automatically and instinctively follow a subject’s movement by moving the Pilot. MIMIC can also be used for full FIZ control, Pan, Tilt and Roll, along with other camera controls. MIMIC features an up to six-hour battery life, SD card slot, integrated LCD screen and real-time telemetry. Pilot modules can be mounted to nearly anything with Freefly’s adaptable rosettes mounts and adaptors. This includes the standard Pilot backbone, tripods, MōVI handles, 1/4 20 mounts, 25mm tubes and much more. Modules can be used as one complete device, as standalone modules or split between different members of a crew to maximise control of your project. Additional input paths are also available to control the Pilot. In addition to the above, a Freefly Bush Pilot and Gamepad can be used, giving even an even greater level of control. The Freefly Pilot is an exceptional device that is designed to put the power and control back into the hands of filmmakers. Its full integration with the MōVI series and a number of cameras, as well as its modular design, certainly does exactly that. For more information or to order the Freefly Pilot, head over to our over to our product page. Keep checking back to Heliguy’s Insider Blog for more product announcements, insights into Freefly and DJI’s products and, of course, the latest news from the drone industry. The last couple of weeks have seen some interesting announcements across the droning world. Firstly, with the news of the UK drone registrations that we covered here. Now DJI have been making friends with old rivals and the CAA have been reducing some regulations. Keep reading for the full update below. DJI have partnered with 3D Robotics. DJI and their previous competitors have partnered up, allowing 3DR’s software to now be used with DJI’s drones. 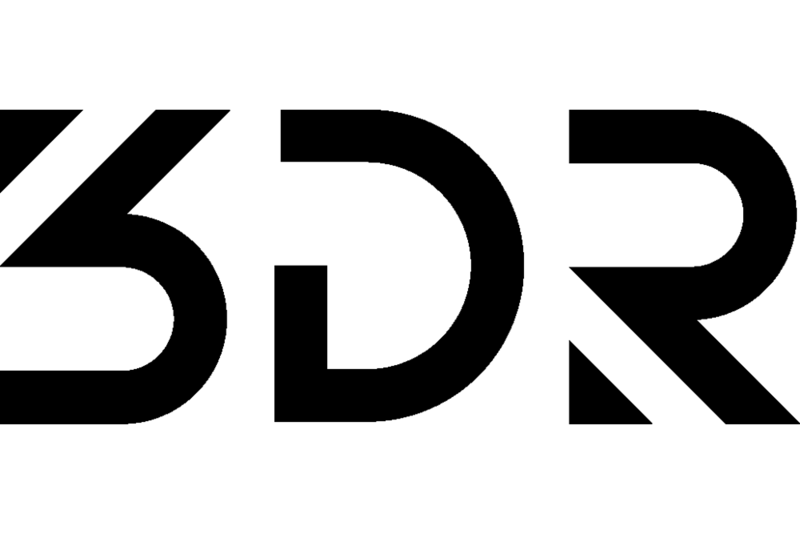 3DR was previously thought of as the up and coming drone manufacturer who could compete against DJI in bringing drones to the consumer market. Their biggest aircraft, the Solo, was released in 2015 with a great deal of hype. Unfortunately, issues with manufacturing and poor sales resulted in staff layoffs and in 2016, 3DR made the decision to leave the drone market to focus primarily on software for industrial industries. 3DR developed their software, Site Scan, primarily for mapping and surveying in construction. 3DR limited their software to use with a dedicated aircraft. Following the partnership announcement, the 3DR Site Scan will be compatible with initially a DJI Phantom 4 with plans for release with other DJI aircraft. 3DR announced the news along with the introduction of Enterprise Atlas, their new solution for large, fast-growing businesses to plan and deploy drones for their operations. 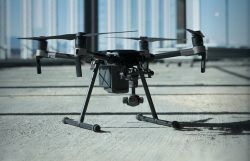 We’re unsure of the reasons for this partnership, but excited to see the developments as the pairing of DJI’s unbeatable aircraft and 3DR’s skills in software, could lead to some impressive innovations that aren’t just limited to industries such as construction. 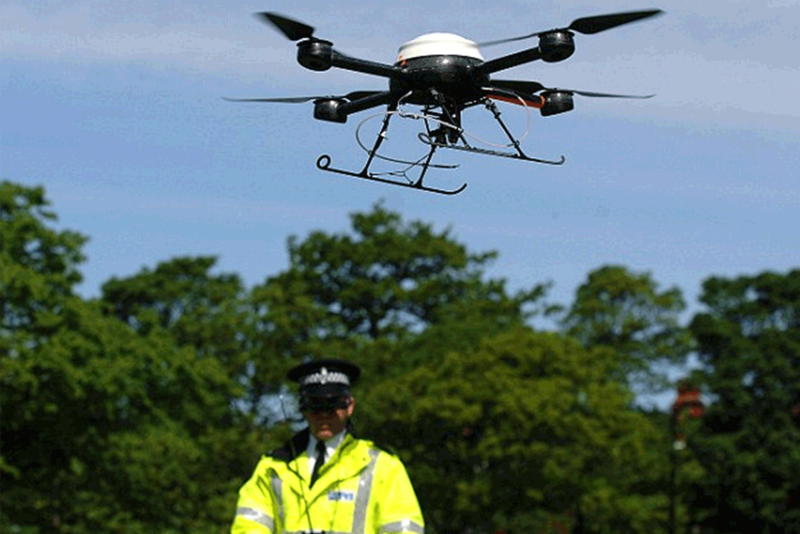 The Civil Aviation Authority (CAA) has announced that any member of the United Kingdom Emergency Services who is flying a drone during a situation that is considered to cause immediate risk to human life or a major incident, is exempt from part of the Air Navigation Order. In basic terms, when a member of the police sees fit, during an incident which is out of the scope of business-as-usual, a drone can be flown out of the pilot’s line of sight and around people, vehicles and buildings. “In our opinion, the exemption that has been issued by the CAA for Small Unmanned Aircraft – Emergency Services Operations, strikes a good balance between public safety and concerns about the misuse of drones and enabling the emergency services to react to situations where the risk to life and the potential benefits outweigh the risks associated with the use of drones. It is worth noting that the exemption can only be used if the service in question has a valid permission or exemption (operational authorisation) and their operations manual includes the necessary risk management processes and operational procedures to allow the safe implementation of this exemption. The exemption reflects the recent news that several police forces across the UK are using drones as part of their work, some with specific drone units. It seems there’s an announcement weekly of a force using drones for aspects of the job. It’s a welcome change by Heliguy as it shows the public that when used responsibly, drones can actually be a benefit, rather than the usual negative press that drones receive from some of the media. Keep checking back to Heliguy’s Insider blog for insights into the marketplace, what we’re up to and, of course, more of the latest news from the drone industry. 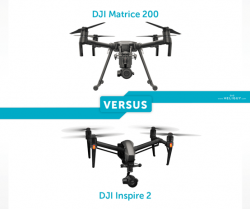 The DJI Matrice 200 and Inspire 2 are the some of the most impressive quadcopters released for industry professionals to date. Similar in some ways, however, their applications are very different and set them apart for specific industries. Heliguy Insider is looking into both aircraft to help you decide which is better suited to your needs. Let’s start by taking a look at the comparisons between the specifications of each aircraft. Looking at both aircraft, it’s clear the capabilities of each are impressive and ideal for use in many professional industries. The camera and gimbal compatibility, working temperature range and near pinpoint accuracy are just some of the features that make the aircraft so remarkable. Keep reading to see which aircraft is right for you and your industry. The additional contents of each aircraft are very similar as the remote controller, chargers and batteries that come as standard are all the same. Both come with a carry case that is great for transport, however, the M200‘s case is slightly superior due to its design. It’s easier to access the aircraft and the shape makes it more portable. 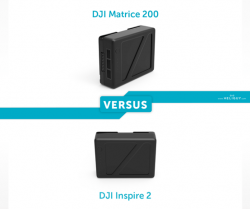 The M200 series has been dubbed by DJI as ‘ALWAYS READY’. They are all designed for quick setup and pack up. The foldable arms and handy carry case make the setup process significantly faster than that of any others in the Matrice range, allowing pilots be ready to go in minutes. The M200 has a tough and rugged appearance which clearly matches the specifications of the aircraft. Its dark colour makes it easy to spot in the sky, helping you keep it within your line of sight. 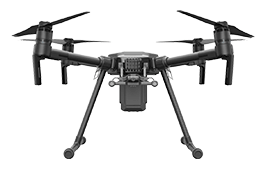 The Inspire 2 kept its design close to the Inspire 1 as it was initially a very successful design that required little moderation. The aircraft was however given a metallic colour which makes it easy to spot during flight, similarly to the M200. The Matrice 200 is an impressive aircraft with many features that make it a fantastic choice for many commercial industries. The aircraft can be flown in high winds due to its powerful 17-inch propellers that have been paired with its motors for advanced performance, the batteries have a built in heating system allowing flight in the more temperatures than any other DJI product, from -20° to 45° C and the aircraft is water and weather resistant due to its encased design. All of these make the aircraft stand out, especially if pilots don’t want to be restricted by the elements. A huge flight time of 38 minutes is available when using the TB55 battery without a payload and an operational range of up to 7km. The M200 also has some remarkable safety features. The usual DJI Obstacle Avoidance is included however, the M200 has 20 different internal sensors to make the aircraft super reliable. The temperature of the aircraft and batteries are monitored, proximity to obstacles from the front, bottom and above, three barometers along with many more. The M200 also has the new DJI AirSense feature which uses an ADS-B receiver to real-time information on the position, altitude, and velocity of other aircraft within the drone’s location. This a great feature and shows DJI’s focus on improving the safety of their aircraft. Modular expansion ports allow for custom hardware builds on the M200. This adds to the aircraft’s versatility and allows custom data to be recorded to suit the needs of the pilot. One improvement of the M200 would for retractable legs as they are sometimes visible through the camera on the gimbal. 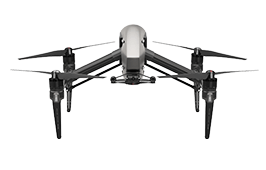 The Inspire 2 built on the success on the Inspire 1, adding new features for increased safety, image quality and its overall functionality. Like the M200, the Inspire 2 is designed to work in conditions of extreme cold to hot weather, -20° to 40° C, removing limitations of some aircraft. A flight time of up to 27 minutes is available and an amazing 0 to 50mph can be reached in five seconds, with a top speed of 58mph. The Inspire 2 has intelligent flight modes such as SpotlightPro, TapFly and Smart Return Home, using the aircraft’s obstacle avoidance system to sense objects from the front, bottom and above. The most notable feature of the Inspire 2 is its image processing system, capable of recording in 5.2K in CinemaDNG RAW and Apple ProRes, giving near perfect image quality. The data can be recorded on both SD cards and the DJI CINESSD simultaneously. There is also a Broadcast mode for direct broadcasting from the Inspire 2 to a dedicated 1080i50and 720p60 signal, and aerial live-streaming direct to TV is as possible. An added benefit is the Inspire 2 can be used as a handheld camera if required. Both the M200 and Inspire 2 use dual batteries for flying in order to give the aircraft added reliability and increase flight time. The Inspire 2 is compatible with the TB55 Intelligent Flight Battery. The battery offers a maximum flight time of 27 minutes when used with the Zenmuse X4S. The M200 can also be used with the TB50 however, upgrades to the TB55 Intelligent Flight Battery is possible. All batteries used with the M200 are water and weather proof to meet the specifications of the aircraft. They also have built in self-heating which make use possible in temperature from -20° to 45°C. When using the TB55, an amazing 38 minutes flight time can be received is a payload is not included. Zenmuse X4S – The X4S is a 20MP, 4K camera, capable of capturing photos in DNG, JPEG, DNG+JPEG and videos in MOV and MP4. Its ISO range is 100 – 6400 for video and 100 – 12800 for images. 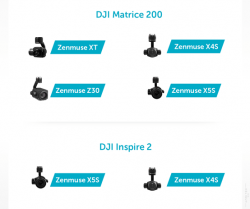 Zenmuse X5S – The X5S is a 20.8MP, 5.2K camera, capable of capturing photos in DNG, JPEG, DNG+JPEG and videos in MOV and MP4 as well as RAW A ProRes on the Inspire 2. The x5S has an ISO range of 100 – 6400 for video and 100 – 25600 for images. Although both cameras can be used on the M200 and Inspire 2, the Inspire’s internal image processing makes allows for footage to be recorded in ProRes and RAW, ideal for professional film makers. Zenmuse Z30 – The Z30 is a 21.3MP camera with a 30 times optical zoom and additional 6 times digital zoom. The Z30 is compatible with TapZoom for precise image capture which autofocuses to give results in seconds. It’s the perfect camera for industrial use. Zenmuse XT – The XT is a thermal imaging camera with a Uncooled VOx Microbolometer imager. The camera provides high-sensitivity imaging and accurate temperature measurements. 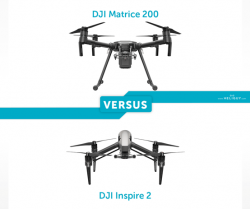 Both aircraft are some of the most outstanding products from DJI to date but which one would fit in with your needs betters? In Heliguy’s opinion, the Matrice 200 is the ideal aircraft for industrial use. Its adaptability with cameras, quick setup and weatherproof design make it a versatile aircraft that can be used for industrial inspections, search and rescue and disaster relief, as well as many other sectors. The Inspire series was built for film makers, especially the Inspire 2. Its image capturing and processing quality are exceptional, giving brilliant results every time. It’s fair to say you won’t be disappointed by the performance of either aircraft. Keep checking back to Heliguy Insider for more in-depth VERSUS articles, product overviews and, of course, the latest news from the drone industry.